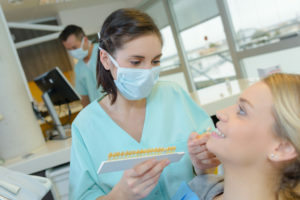 Does Dental Insurance Cover a Visit to the Cosmetic Dentist? Dental insurance can make it easier to afford the dental treatments you and your loved ones need in order to achieve and maintain healthy smiles for life. But what about when you are interested in improving just the appearance of your already healthy teeth? You may want to find out whether or not your insurance plan will cover a portion of cosmetic services. In many cases, the answer is no — but that shouldn’t deter you from visiting a cosmetic dentist in Buckhead to transform your smile! Keep reading to learn more about how dental insurance works for cosmetic dentistry. Dental insurance coverage is typically limited to general, preventive, and restorative dentistry treatments. That excludes anything that is purely elective and not necessary for your oral health. However, some restorative treatments can have a wonderful effect on the overall appearance of your smile. If you need to have a procedure that improves the form AND function of your front teeth, i.e. how they look and work, then you may be able to look forward to receiving some coverage from your dental insurance. Restorative dentistry treatments are typically covered from 50% to 80%, depending on the complexity of the service being rendered. Orthodontic treatment also has a big impact on the appearance of your smile and is eligible for coverage as well. That often includes conventional braces as well as clear aligner treatments like Invisalign. As mentioned above, any service that is 100% because-you-want-it and not required for the proper function of the tooth will not be eligible for dental insurance coverage. In order to properly plan for your tooth replacement, you will need to confirm whether or not your dental insurance covers cosmetic treatments. This requires performing a verification of benefits, which your dentist’s office may do for you. You can also often confirm what you are eligible for by visiting a patient portal online on your insurance provider’s website. If you have any questions, your dentist’s team should be willing to discuss the details of your coverage with you in full. Dental insurance is a wonderful investment — and if it can help you achieve a healthy AND beautiful smile, it’s even better! Take the time to find out whether or not cosmetic treatments are eligible for some coverage for the benefit of your smile… and your wallet. Dr. Peter A. Pate is the dentist Buckhead friends and neighbors trust with their smiles. He is an experienced dentist who has achieved Mastership in the Academy of General Dentistry — an accomplishment only 1% of dentists ever achieve. To learn more about his services or to schedule an appointment with Dr. Pate, do not hesitate to call the office at 404-266-9424. Comments Off on Does Dental Insurance Cover a Visit to the Cosmetic Dentist?